Bridgeway Academy is pleased to offer a complimentary First-year membership in Homeschool Legal Advantage (HLA) to all enrolled homeschool families. This membership offers homeschooling families the advantage of an attorney dedicated to all homeschool related issues free of charge. This includes all attorney fees, expert witness costs, travel expenses and court costs allowable by law. In addition, Bridgeway Academy members can contact their attorney at any time for answers to any legal questions related to homeschooling. 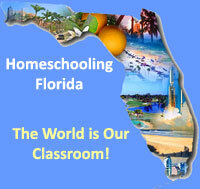 Access to a comprehensive website with all homeschool laws for a family’s state is also provided. Through its partnership with HLA, Bridgeway Academy also provides a free will and testament for parents, access to a website with specific homeschool laws for each state, legal alerts and access to all HLA services at a 20% discount. The HLA team includes a large group of full-time attorneys and an additional 200+ affiliated attorneys throughout the United States. The HLA is a division of the Christian Law Association (CLA) which has faithfully served churches and families since 1969, and has successfully defended over 8,000 educational freedom-related cases. Often, HLA and CLA attorneys can successfully defend an attack by contacting local officials on behalf of their member, thus avoiding court action. If a homeschooling court case is necessary, HLA provides full representation every step of the way. Members can take comfort in knowing they enjoy full legal protection for homeschooling and Christian liberty issues. Homeschoolers who take advantage of the HLA membership through Bridgeway Academy also receive free legal representation from the CLA for religious liberty issues even if the cause of action is not related to homeschooling. This includes matters such as workplace discrimination, Christian employer obligations, the right to witness, public prayer, and any other matter related to Christians in matters of faith. A one-year membership to the HLA is valued at $65. Please visit HomeschoolLegalAdvantage.com for more information. Bridgeway Academy is a nationally accredited full-service Pre-K to 12th grade home school academy that has provided academic guidance and inspiration to more than 20,000 students since 1989. Bridgeway’s mission is to help home educators succeed through customized home school curriculum plans, personal advisors, textbooks, online courses, and professional record keeping. Bridgeway also has a flexible, individualized and supportive approach to education for adults seeking an accredited high school diploma. Visit homeschoolacademy.com/ for more information. Manatee County Homeschool Evaluations: What’s wrong with this form?